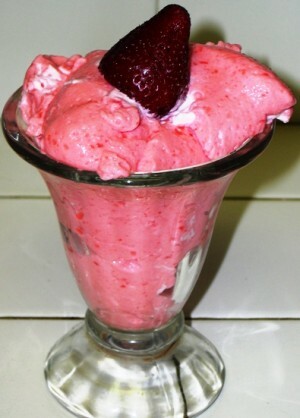 Blend strawberries, cream, lemon juice and sugar and keep aside. Then add the boiling water into the gelatin and make a mixture add the gelatim mixture in the strawberry mixture. Then add the egg whites and refrigerate untill it has settled.